The recovery of abandoned mining sites from disturbance results in rapid plant colonization and increases in soil organic matter (SOM). 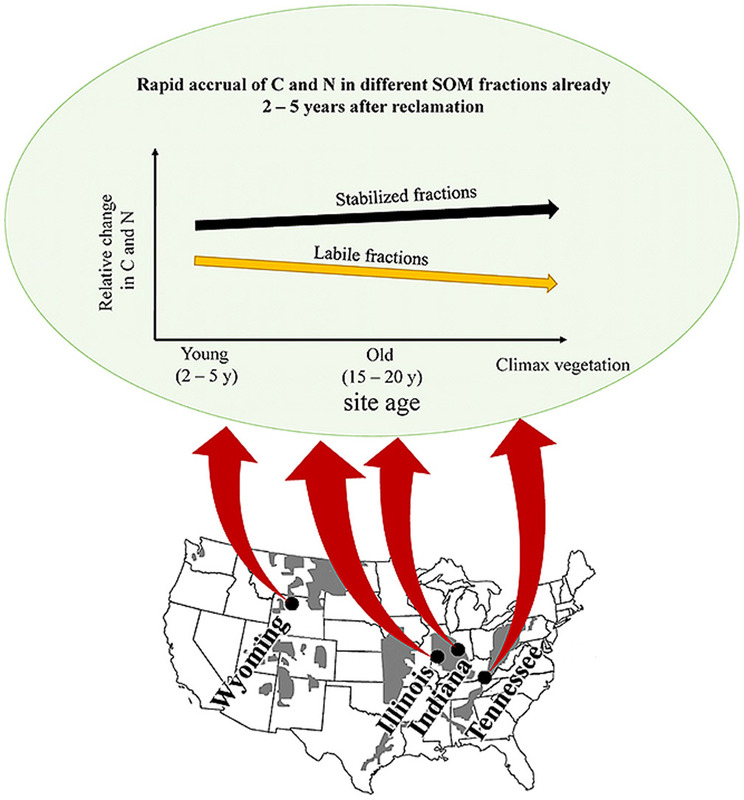 Surprisingly, little is known about the stability of this SOM although knowledge on SOM stability may inform management practices with respect to the sensitivity of the newly established ecosystems and the long-term persistence of soil Carbon at these sites. To close this knowledge gap, Gerrit Angst and his German, American, and Czech colleagues investigated SOM stability at post-mining sites in different climate and vegetation zones across the whole US. The results show that SOM stability at post-mining sites depends on the restoration technique used. Moreover, organic matter supplied to the soil by the newly established vegetation was mainly found in easily degradable form, indicating a relatively high sensitivity to new disturbances. Because these patterns held true independent of climate or vegetation, a general applicability of the results can be supposed and management strategies should be adapted correspondingly.